Gap year travel can be one of the most exciting experiences of your life; it is an opportunity to expand your horizons, open your mind, forge new bonds and encounter countless truly life changing experiences. When getting ready for your gap year, preparation is key. Although spontaneity is fun, you run the risk of missed opportunities, bad organisation and overlooking things that can ruin a trip. Its a great idea to keep things a little open and flexible to allow for last minute decisions whilst making adequate preparations to ensure your gap year runs smoothly. Make a list of everything you want to do and see then sort all these things into: ‘absolutely have to do’, ‘would like to do’ and ‘wouldn’t be upset about missing’. Put a mark next to all the items that need to be pre booked and make your plans based on these, allowing time for the other items. This will allow maximum flexibility without missing out on anything. Make a plan for all of your costs and work out your savings target. Be sure to include accommodation, food budget, travel insurance, transport, visas, experiences, spending money and emergency money. This cannot be stressed enough, make sure you have travel insurance that provides, at a minimum, generous medical cover. The last thing you want to do is to have an accident and end up cancelling your trip. It’s great to plan to pick up what you need as you go a long to keep your bag light, in most places you visit you’ll be able to pick up clothes and toiletries. However taking a few essential travel accessories can make your travels exponentially more comfortable. 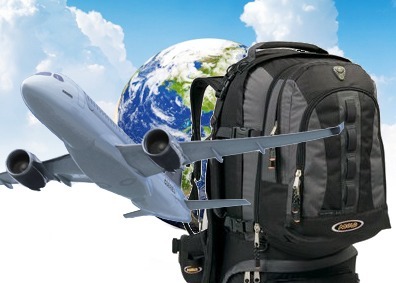 Picking up items such as a travel towel, money belt, first aid kit, padlock and travel pen will create a core travel kit of essential travel accessories. Above all else, enjoy and spend your year creating unique memories and friendships that you’ll have for the rest of your life!